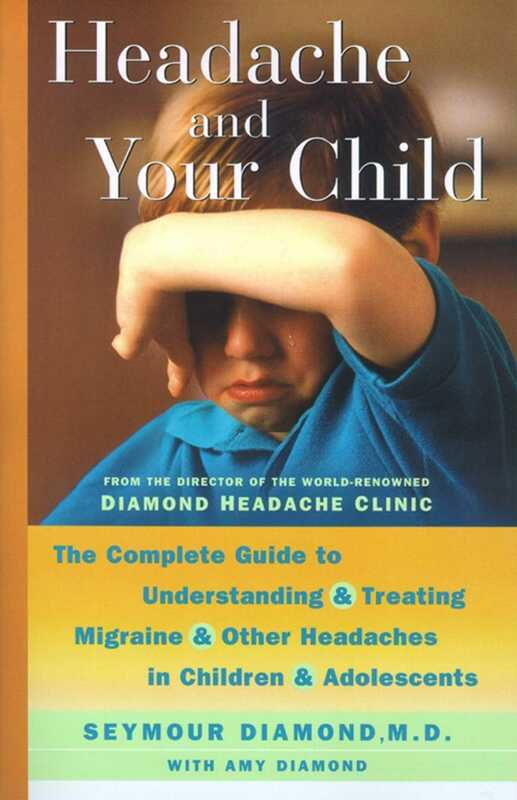 In Headache and Your Child, Dr. Seymour Diamond gives parents information on the most up-to-date diagnostic tools and treatment options available for this increasingly common childhood illness. If your child suffers from bad headaches, then you know all too well the panic and frustration they cause—and not just for your child, who may be too young or unwell to articulate what he's feeling, but for everyone in the family. When over-the-counter medications don't work and your pediatrician doesn't have an answer, you can now turn to preeminent headache and migraine expert Dr. Seymour Diamond for help. Seymour Diamond, MD, an internationally recognized expert in management of headache pain, is the founder and director of the Diamond Headache Clinic in Chicago, Illinois, the oldest and largest private clinic in the United States devoted solely to headache. The author of The Hormone Headache and the coeditor of The Practicing Physician's Approach to Headache, Dr. Diamond has contributed to twenty other headache books and has written more than three hundred articles on the subject of headache.